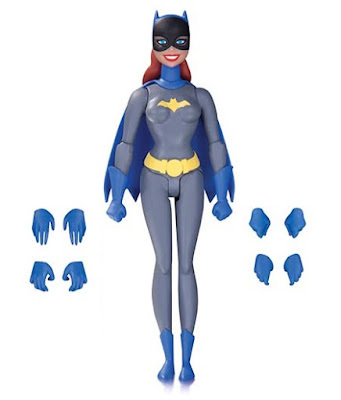 DC Comics and DC Collectibles continue their popular Batman: The Animated Series action figure toy line with a new colorway of their classic Batgirl figure! For the first time ever, a 6” scale version of Batgirl is now available in her original gray, blue and yellow suit. The Batman: The Animated Series “Gray Suit” Batgirl Action Figure stands 5.31” tall and includes four sets of interchangeable hands. Collectors can pre-order this new B:TAS figure now at Entertainment Earth for $23.99 here.